It’s well accepted iodine supplements are effective for preventing and treating an iodine deficiency. They are generally considered safe when taken as recommended. Nutrient deficiencies are a common issue for those with hypothyroidism. Iodine is one nutrient you don’t want to get low in as the thyroid uses iodine to make your thyroid hormones. 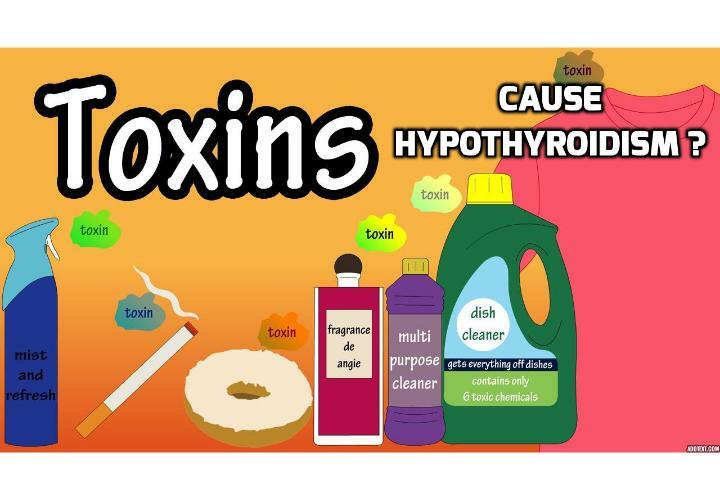 This makes iodine important for ongoing thyroid health. Iodine deficiency can lead to iodine induced hypothyroidism, enlargement of the thyroid, and a reduced ability of the thyroid to produce thyroid hormones. 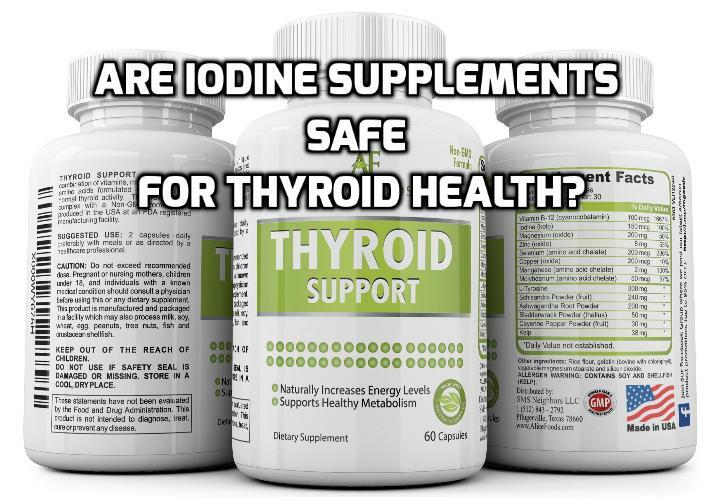 Are Iodine Supplements For Thyroid Safe? It turns out there is a vast amount of research in this area including how much iodine is safe to take. There is one guiding rule that I would like everyone to know. It’s about balanced intake. Not too much, not too little! Iodine is normally only required in very small amounts. In fact iodine supplements normally supply trace, or microgram quantities. When you research iodine supplements online, or thyroid health formulas with iodine, it’s important to know that 1 milligram equals 1,000 micrograms. You may see a microgram measurement abbreviated as ‘mcg’ or ‘µg’ on a label. In Australia all nutritional products are closely regulated by the Therapeutic Goods Administration (TGA), a division of the Department of Health and Ageing. Nutritional supplements must be approved before being released for sale. Approved products state their individual AUST L or AUST R number on the front of the label. The active ingredients contained in a product and the recommendations on the label are also closely controlled. The recommended daily intake of iodine from an iodine supplement must not exceed 300 micrograms per day. For example, when a nutritional supplement contains 130 micrograms of iodine it’s recommended that an adult does not take more than two capsules per day. If an iodine supplement was to contain milligram amounts it would not be approved for sale here in Australia. Even if one tablet, or capsule was recommended per day the recommended intake would be set too high. In addition to dosing guidelines the TGA provides strict guidelines on the type of iodine that can be used. Iodine is an approved ingredient for use in a nutritional supplement when it is a component of a specific herbal preparation or is in the form of potassium iodide. For example an iodine supplement can contain Bladderwrack (Fucus vesiculosus), a type of seaweed which is known to naturally contain iodine and is traditionally used to help maintain healthy thyroid function. Another popular form of iodine featured in thyroid health products is potassium iodide. No other single form of iodine is approved for use in an iodine supplement in Australia. You should avoid taking high doses of iodine for prolonged periods unless you are doing this in consultation with a trusted healthcare practitioner. Taking iodine in mega doses can pose problems. Taking multiple milligram amounts can saturate your thyroid which can irritate and inflame the gland. The documented side effects of taking too much iodine include; a metallic taste, sore gums, a burning sensation in the mouth and throat, increased saliva, digestive upset, mood changes and skin problems. Population studies have also shown excessive iodine intake may trigger autoimmune thyroid disorders. Are USA Iodine Supplements Safe To Buy Online? When you do a quick search of iodine supplements online you will soon discover there is certainly conflicting opinions and information about how much iodine is safe to take. For Australian consumers it’s important to know that iodine products available on USA websites are not regulated by the TGA. This government organisation only has jurisdiction within Australia. It is possible iodine supplements available on USA websites can contain excessive amounts of iodine. The TGA advises consumers to refrain from ordering nutritional products over the internet unless they know exactly what is in the product, have checked that the ingredients are suitable for them, and the products they are purchasing meet the legal requirements for importation and use in Australia. I hate to be the bearer of bad news. But if I don’t tell you, then no one else will. Often times you look to your doctor for answers and you’ve been raised to believe that your doctors knows exactly what is going on with your health and exactly what to do about it. But, I’m here to tell you that your doctor and the medical profession in general is more confused than ever regarding hypothyroidism, healthy thyroid function, and thyroid testing. Your doctor is really only as good as the thyroid function tests or tools he has available to diagnose you with. And, the TRUTH is that there really is NO perfect test for hypothyroidism. The hypothyroidism testing that takes place today is really abysmal. There is so much more the medical profession could be doing to improve their practices but they simply don’t for a number of social and economic reasons. Unfortunately today, improvements in medical science and testing are only considered if they can generate more profit. The issue of thyroid function testing has been a hot debate for more than a century. If we can learn anything from history (which we rarely do) we should learn that thyroid tests come and go with the wind. 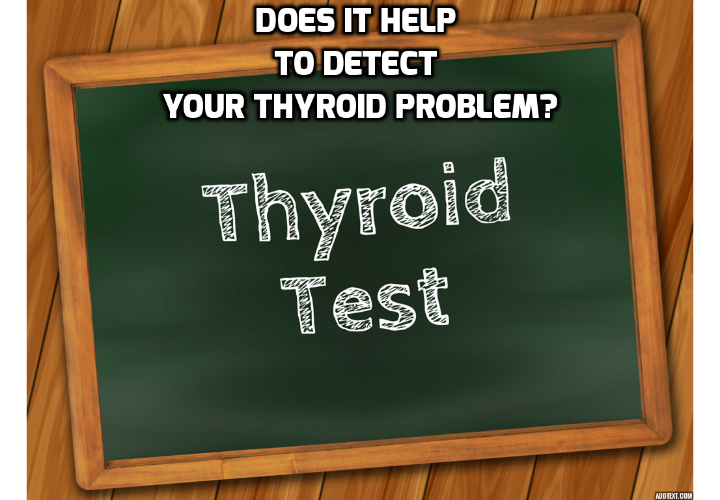 There have been a number of previous tests that have been “accepted” and used as the gold standard in diagnosing hypothyroid for years or decades only to eventually be discredited and deemed useless. So, it’s important to take our current methods of thyroid function testing with a grain of salt because it’s likely that they too will follow suit at some point in time and be deemed unreliable. Odds are, if you’ve been diagnosed as hypothyroid by your doctor then you’ve had your TSH levels measured and they have likely been above “normal” (at least their interpretation of normal that is). This is currently the standard test that medical doctors use to diagnose hypothyroidism. And it’s the ONLY test they typically run. If you’re not familiar with human physiology, TSH is a hormone that tells the thyroid gland that more thyroid hormone is needed and to release more thyroid hormone into your bloodstream. So, if TSH is high then this is thought to mean that your thyroid gland is not able to produce adequate thyroid hormone, thus you must be hypothyroid. It’s important to understand that any thyroid function test is merely giving you a snapshot of your hormone levels at one single moment in time. And any factor, including the list above, can cause an immediate or drastic change in your hormone levels. So, let’s say you’re under a considerable amount of stress, you’ve caught a cold, or you didn’t have time to eat before your doctor’s appointment… these variables can affect the outcome of your test. Watch this Video – Why TSH is the wrong test for Thyroid Function. BMR (Basal Metabolic Rate) Tests were extensively used in the early to mid-1900’s before blood tests were developed. This same BMR test is still being used today and is becoming more and more popular in recent years. For starters, it requires that your body be in a completely basal state which is practically impossible with this method of testing. The only time your body is truly in a basal state is when you first open your eyes in the morning and before you start moving and get out of bed. By the time you wake up, get dressed, drive through traffic to your doctor’s office, check in, etc., your body is no longer in a truly basal state. However, they do not answer the one single question that continues to elude medicine even today, which is how much thyroid hormones are actually getting to and being used by your cells. What Is the Best Option for Thyroid Function Testing Then? Believe it, or not, there is a simple and highly effective thyroid test that can measure your thyroid function in a truly basal state. By simply taking your temperature upon waking, you can quite reliably determine if your thyroid is able to keep up with the metabolic demands of your body, or if you truly are hypothyroid. This is exactly how I work with my clients. We don’t rely on misguiding thyroid function tests. We use basal temperature and pulse as well as temperature and pulse throughout the day to determine the metabolic state of the body. By knowing this information, you can begin to use your diet therapeutically to supply your thyroid and cells with the nutrients they need to keep them running in their optimal state, which is essential for the body and thyroid to heal.